Sometimes a closet makes you stop in your virtual tracks because you know you’ve found your stylemate. That’s how we felt upon discovering Jessica’s closet. We are swooning over the styled Covershots featuring some of our favorite brands like Anthropologie and Current/Elliot along with some more unique vintage pieces. Did we mentioned that they are priced to sell? Shop now before this curated collection finds its way into someone else’s wardrobe! 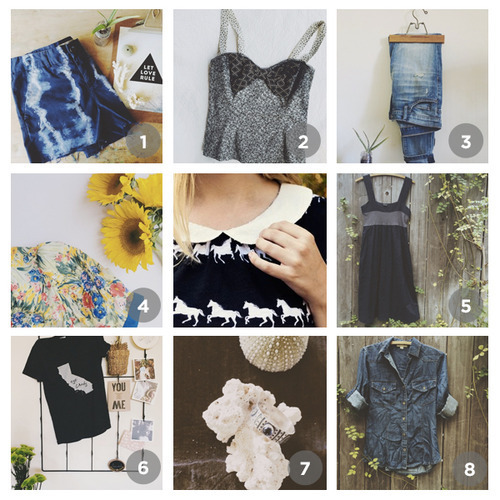 Now that we have shared our #ClosetCrush, we want to feature yours! Did you score a major Posh Find and can’t help but gush about it? Create a #ClosetCrush listing, tag the seller and include a little love note. And you could be featured!